Is it possible to become an outgoing leader and CEO, when your parents drilled you in the art of impassivity, quiet listening and constantly wearing the neutral expression instead of smiling sometimes? 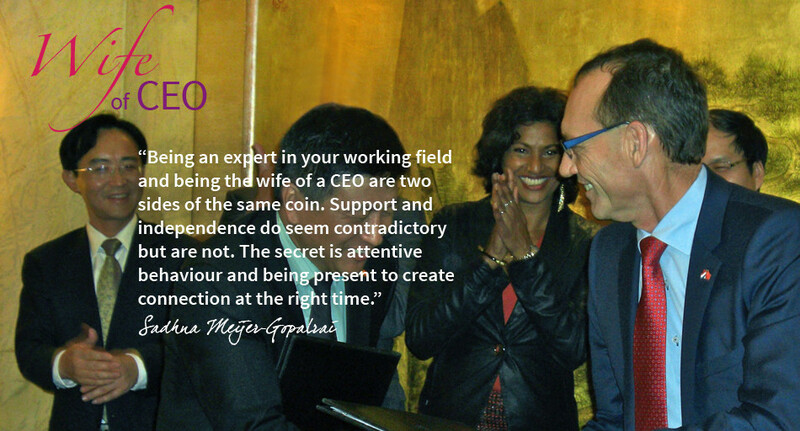 And in this situation: how will your wife support you to her utmost if she has also learned to remain passive and live in your shadow? Children who grow up in traditional Asian homes do not learn the cultural lessons they need, in order to play a dominant role in most international workplaces as a successful CEO. The most important Asian values include filial piety, deference to authority, humility, hard work, harmony and sacrificing for the future. So do behave also their spouses! This often coincides with a lack of good communication skills and not mastering of the English language. Interacting with international relations becomes very difficult and the insecurity and shame start to increase. Take the decision to educate yourself and learn how to shine in an elegant and proper way! 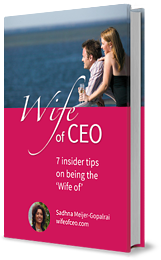 I can support you in your growth to become an eloquent and sophisticated wife of a CEO. Another specific area is that of the expat wives. The issue comes when an expat wife has a her own big internal conflict by not pursuing her own goal. Many expat wives are dedicated to their children and home without having a job moving to one place for a few years. Therefore many expat wives just stay home and involve in school volunteer work or charities.